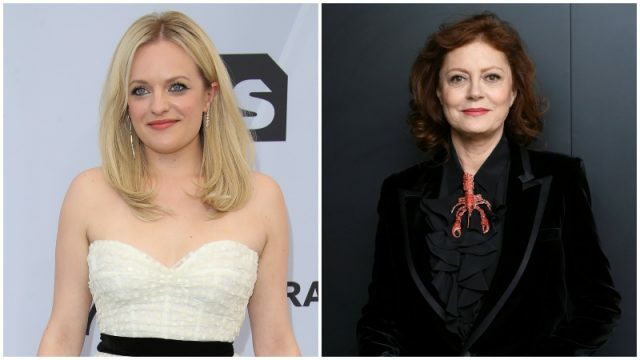 Deadline reports that Golden Globe winner Elisabeth Moss and Academy Award-winning actress Susan Sarandon (Dead Man Walking, Thelma & Louise) have been tapped to star in director Sian Heder’s upcoming drama titled Call Jane. Written by Hayley Schore and Roshan Sethi, the blacklist script will be focusing on women’s rights during the 60s. Call Jane will follow the story of a traditional 60’s American housewife named Joy (Moss). She is very desperate for a child but when she receives news of her pregnancy, things will go wrong as the pregnancy came along with complications that becomes an imminent threat to her life. She has nowhere to turn until she stumbles upon the Janes, an underground abortion movement led by Virginia (Sarandon). Moss is also set to serve as the film’s producer along with Kevin McKeon, David Wulf and Robbie Brenner (Dallas Buyers Club) through her Unburdened banner. Michelle Mason Vella and writers Schore and Sethi will executive produce. Moss is best known for her role as Offred/June in Hulu’s series adaptation of Margaret Atwood’s classic novel The Handmaid’s Tale which had earned her an Emmy Award and Golden Globe Award for Best Actress. She will next be seen in films such as Jordan Peele’s upcoming social thriller Us; and The Kitchen opposite Tiffany Haddish and Melissa McCarthy. The post Elisabeth Moss and Susan Sarandon to Star in Call Jane appeared first on ComingSoon.net.